Hello, there mommy! Hope all is well with your pregnancy. As of writing I only had a few days left before our little one's due date. Hmm.. that if he decides to come out on time. Actually, he (it's a boy) will be out anytime soon. I'm excited! I'm a first-time mom. Like you, I've devoured countless books and articles my hands could get and join pregnancy classes in preparation for our little one's arrival. But I feel like, I'm still not ready. I'm sure you could relate. Haha! That's too much talk already! 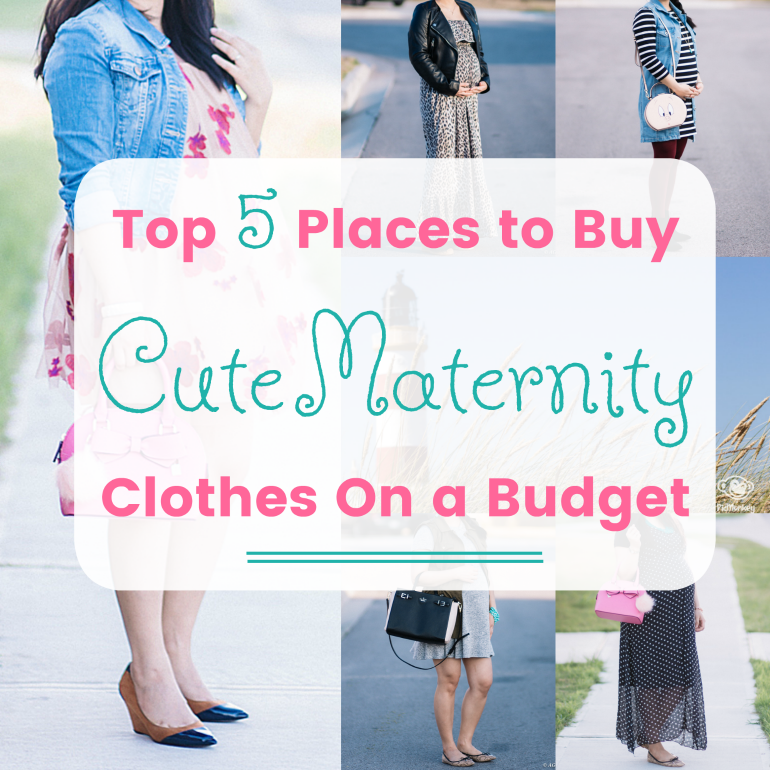 Here I'll be sharing my top 5 places on where to buy cute maternity clothes on a budget. TIP: Head straight to their Outlet section and select maternity. You'll find trendy & cute maternity styles for less than $20. I actually bought most of my maternity clothes from them. Why not? They don't break the bank. NOTE: They will charge .05 international shipping fee to the US. 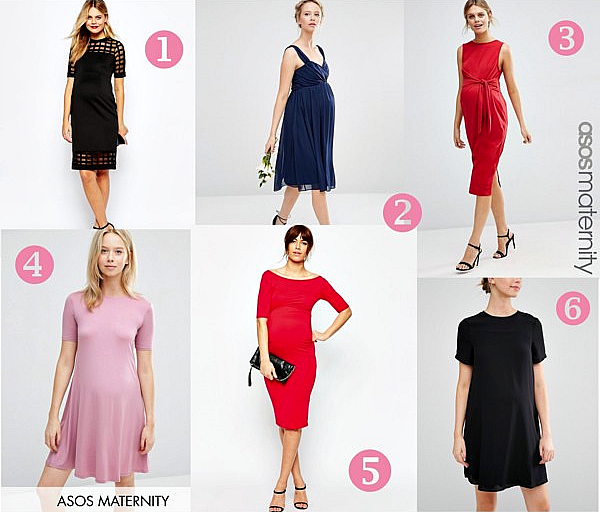 Maternity Motherhood's dresses range from $30 to $80 US dollars. I would suggest you look out for their sale items. I got me this Mesh Dot Maternity Dress on sale for $29.97 for an event. Regular price is at $59.98. Pretty good deal! It's no secret that H&M offers affordable fashion for everyone. They have something for expectant mommies too from their maternity and nursing lines. I love this shop, not to mention their never-ending sales. These Mama 2-pack basic tops in black & white & Mama joggers basic outfits are perfect for that relaxing walk in the park. Yes, Old Navy. Another affordable retail store in the block. Like H&M they too offer maternity and nursing lines for expectant mommies. Make sure to stock up on leggings. These are the essentials. Everybody loves Target! Well, I do. I got me my bellyband from them to hold up my pants/jeans on my first & second trimesters. I also like the casual belly jeans shorts Target offers with an elastic waistband that accommodates the ever growing baby bump. The truth is, I didn't horde a lot of these maternity clothes, cute as they can be. I only bought 5 maternity items throughout my entire pregnancy. I don't want to waste money as I won't be pregnant forever. Now that's just being practical.